Equipped with a set of pre-designed loading icons, Loader Generator allows you to customize and generate your own loading ‘spinner’. 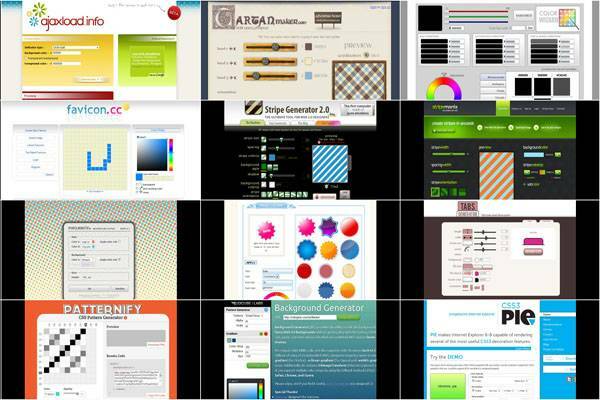 Like Loader Generator, AjaxLoad is another free tool that generates cool loading icons. Fancy some Tartan-stripes background? Check out TartanMaker – a free design tool that helps create Tartan designs instantly. Lack of good color? Use color wizard to do color-matching for you. The color wizard lets you submit your own base color, and it automatically returns matching colors for the one you selected. 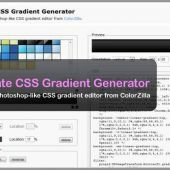 The Color Scheme Designer is a brilliant color-matching tool for those who are selecting colors for their designs. Favicon CC is not exactly a web generator tool. However, it enables you to draw and create favicon easily online – which I think most of y’all would be interested to look at. 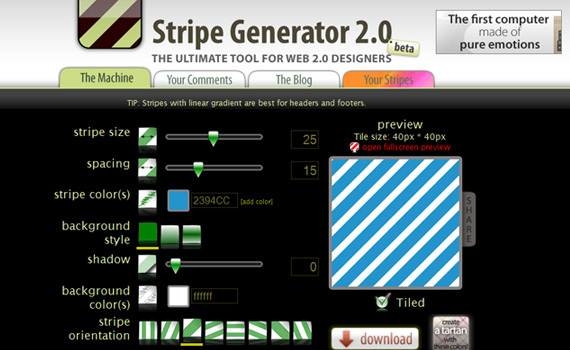 Stripe Generator 2.0 is a free design tool supported by Pop Minds Web & New Techs Studio (long name huh?). It helps generate (almost) any kinds of stripe you want for web background. 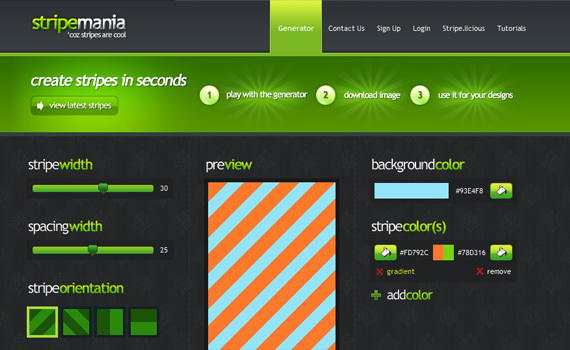 Stripemania is a simple and free web tool to create seamless diagonal stripes for your designs. You are able to choose the size of the stripes and the spacing between those. 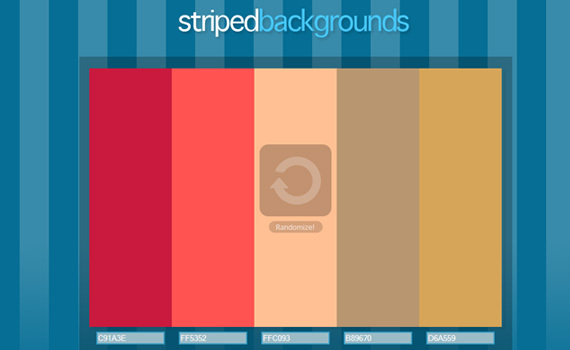 StripedBackgrounds generates a 5 column striped background with your chosen colors and resolution. Dotter allows you to easily create stylish dotted background with either one or two colors. 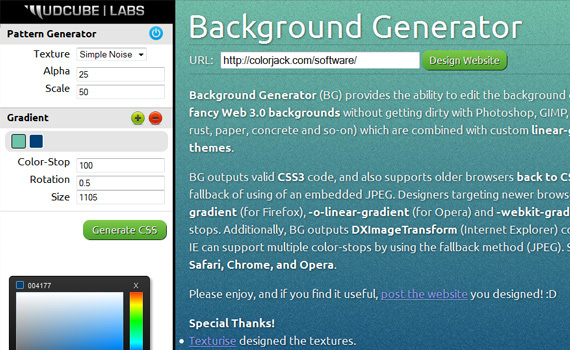 Background Generator provides the ability to edit the background of any website in real-time. 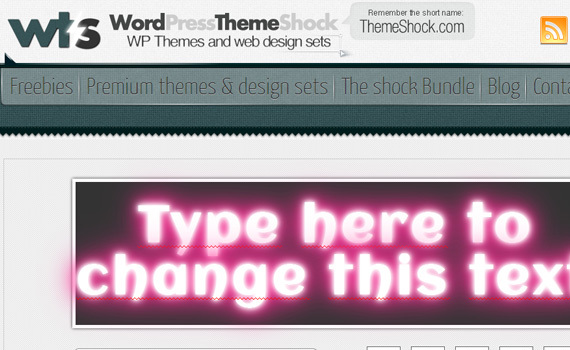 It allows you to create fancy web 3.0 backgrounds without getting dirty with Photoshop and other image editing software. 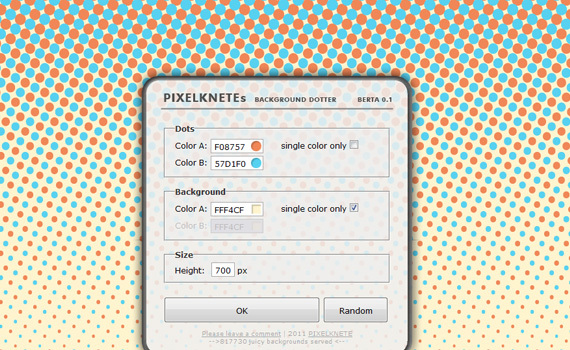 Patternify is an app that lets you create simple pixel patterns and export them either as PNG or as base64 code. 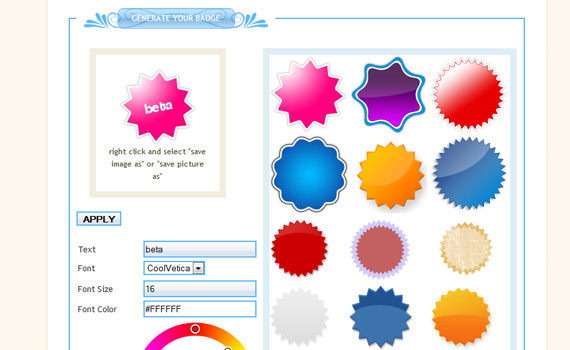 Pictaculous helps you to decide which colors suit best with a particular image. Just upload an image and it will generate a color palette from it. You can also download Adobe Swatch File (ACO). Web 2.0 Badges is a very popular badge generator (mainly because of their beautiful pre-designed badges, I guess). 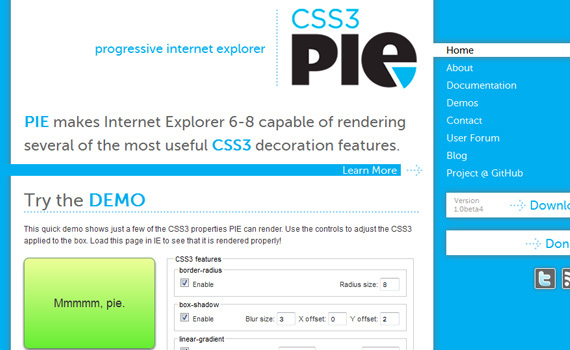 Any webmaster who is too lazy to design their own badges should check them out. With the CSS Button Generator you can instantly make buttons for your website or blog that use your colors, web fonts, and sizes. 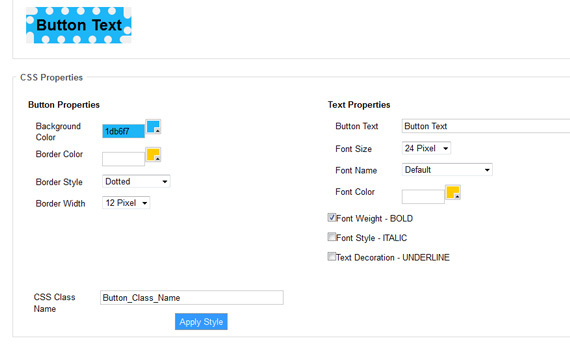 The CSS button generator uses no images and can say anything you want in any colors or size. 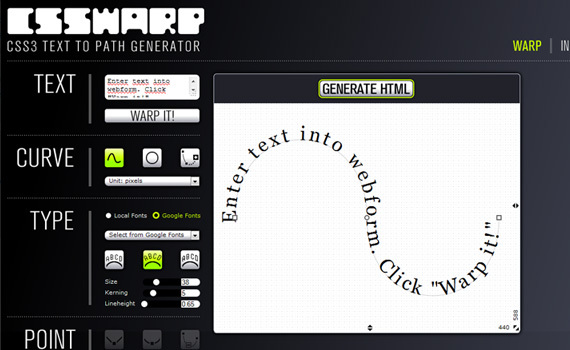 CSS3Warp is a proof of concept: create Illustrator like “warped” text (text following an irregular path) with pure CSS and HTML. 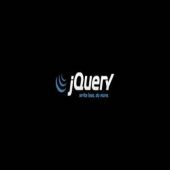 CSS3 text shadow generator helps you insert beautiful shadow effects to your texts. You can change between different web fonts and explore different shadow effects such as Fire, 3D , acid and more stunning examples. 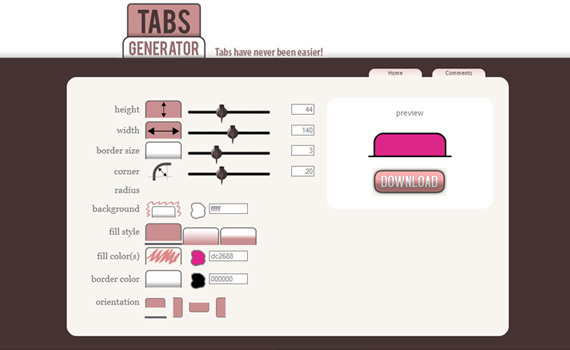 This generator is great for when you just need a quick, simple drop-down menu. 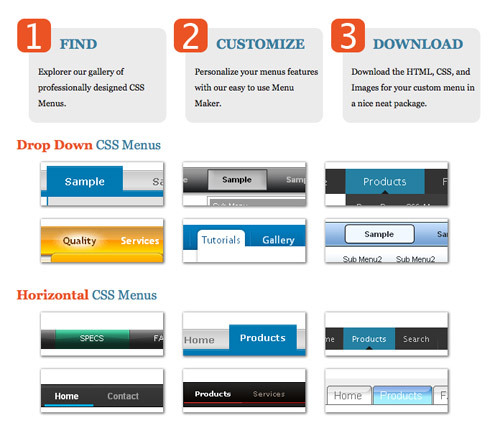 Just choose a style, create your menu items, and download. 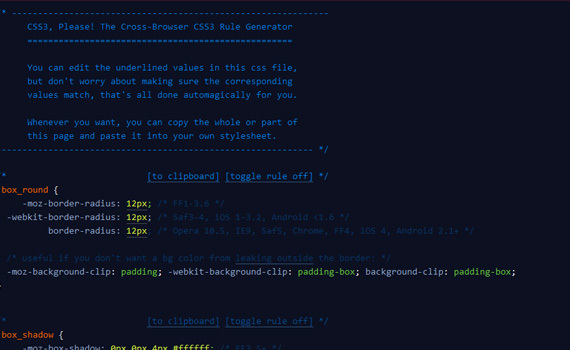 BgPatterns helps create classy background (see image). 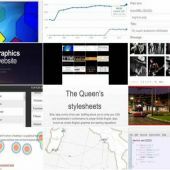 There are dozens of cool patterns to choose from and it’s a must see tool for all web designers. Gender, face features, wearings, skin colors… UNIQUE is a free web tool that allows users to create highly-customizable, human-like, avatars. Mind you, this web tool is kinda addictive. What Database System Do You Use?